Kasuhiro Otomo has revealed that he has one "major condition" for the live-action remake of Akira. Otomo has no problems whatsoever about a possible remake of his legendary 1988 anime. Which is good for Warner Bros., since they've been trying to make it since they acquired the rights way back in 2002, more than 15 years ago. Since that time, many actors, directors, screenwriters, and producers have been attached to the project. But with zero success. Most recently, Jordan Peele (Get Out) was approached to direct Akira, but he declined, deciding that he would rather focus on his own original projects. 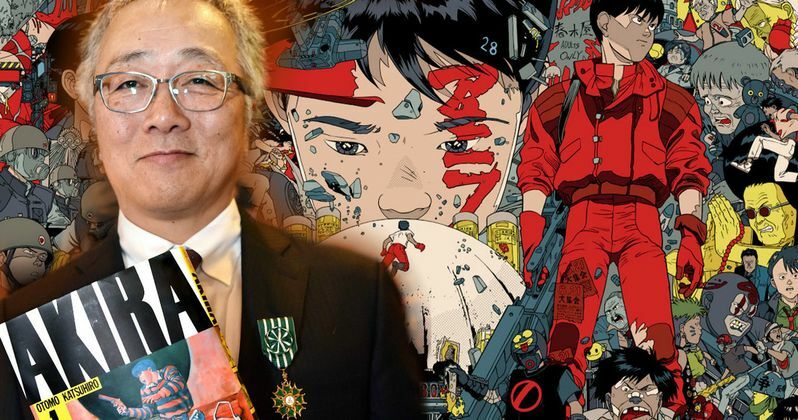 Otomo spoke with Forbes last week about the possibility of a live-action Akira finally making it to the screens and whether he will have any official involvement in the project. Otomo said this. "While I haven't seen the new live-action Ghost in the Shell, when it comes to Akira I have already finished the original manga and my own anime version, too. So in that sense, I am basically done with Akira. If someone wants to do something new with Akira then I am mostly okay with that. " At first glance, it really seems that Otomo doesn't seem to have any interest in the live-action realm of anime. While there's plenty of reasons not to see the live-action Ghost in the Shell, it is interesting that Otomo was not curious to see what had been done with one of the most praised anime franchises ever in a live-action capacity. But like Otomo says, "I'm basically done with Akira." But that leads to an important question: will Otomo have any official involvement with a project that he claims to be finished with? As it turns out, Otomo may not be completely finished with Akira after all. Otomo explains. "As I accepted the offer for a live-action Akira to be made, so I am generally okay with whatever they want to do with it. However, I did give one major condition to a live-action version and that is that I had to check and approve the scenario." This is an important piece of information for fans of Akira. Hopefully Warner Bros. will work to make a live-action Akira that is faithful to the original animated movie and manga without changing too much about it and alienating long time fans. It is also interesting to note that Otomo initially thought that the animated adaptation of Akira was going to be a complete and utter failure. Otomo explains that he left the theatre early because he felt that the first half was good, but that because the budget was limited and there were so many cuts, he felt that the quality diminished as the movie rolled on in front of his eyes. Otomo also says that the lack of animators also lead to a decline in quality, noting that he thinks that the finished version had over 2,000 cuts. Let's just hope Warner Bros. can look at the failure of the live-action Ghost in the Shell and learn from the mistakes to make Akira what it deserves to be. At the very least cast someone of Japanese decent into the main role and try to capture the essence of the source material. In other words, don't Hollywood-it-up. At this time there are no directors or writers attached, so it's going to be a pretty long time before we end up seeing a live-action Akira.